You can grow these on your window sill. 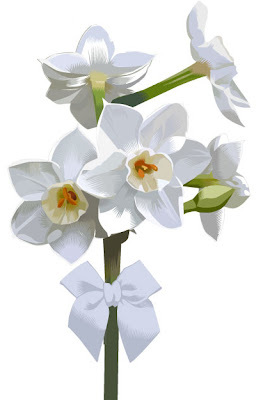 They are paper white narcissus which sproutfrom bulbs planted on stones, suspended above a bit of water--forcing them to grow indoors while it snows outdoors. It takes about 3 weeks and you will have stems about 20" tall, and fragrant blooms that fill your eyes and your nose. It is a wonderful treat. Here's to these sprouting miracles.